Open the application, enter where you want to go and Uber will tell you in advance exactly how much the trip will be. There are no columns or other unpredictable events for the ride. So Uber tries to comply with existing legislation. But there is still waiting for the government to recognize the application as a substitute for a written contract. Take the new price to the customer on the basis of an estimated journey time, based on historical traffic density data. In the case of an unexpected jam, the driver is probably going to be at loss, on the contrary, he will make a profit for the unusually smooth traffic. The Uber measure makes sense for the company. The changing price, which was directly dependent on the number of kilometers traveled and the time spent on the road, would have been an obstacle to replacing taximeters with applications in the future until Tuesday. Taximeters are certified devices, which, if they do not interfere illegally with their operation, can measure the route more accurately than the GPS module in the phone. In addition, it could be theoretically exposed to external interference. This is one of the reasons why legislators are reluctant to put applications on the same level as taximeters. Such anxiety, however, does not completely go away at a pre-determined price. Contractual transport – a recipe for legalizing Uberu in Czech Republic? But mainly it will open the way for Uber drivers for a so-called contractual carriage license to simplify a taxi without a taximeter. On such a “contract” taxi driver, the law puts different demands on a regular taxi. One of the conditions, however, is the need to agree with the customer on the price before the actual ride. Which is what Uber meets now. The only major obstacle for Uber to drive taxi without a taximeter now remains that the law also stipulates that a contract for such carriage must not be signed directly in the car before the actual journey, and must be in the written form. The law does not therefore consider the digital signature of the contract through the application that Uber uses today. But even that would not necessarily be such an insurmountable problem. “It’s one of the things we talked about with government officials, about how to do this in some way, or at least the law was interpreted differently. So, to be understood as signing the contract even when the customer accepts an order in the application, “says Uber spokesperson Miroslava Jozová. This is not even excluded by the Ministry of Transport, although Lenka Rezková, according to the spokesperson, is still considering this request. “In general, however, it is possible to admit that the form of a written contract can be fulfilled even in the case of an electronic form. 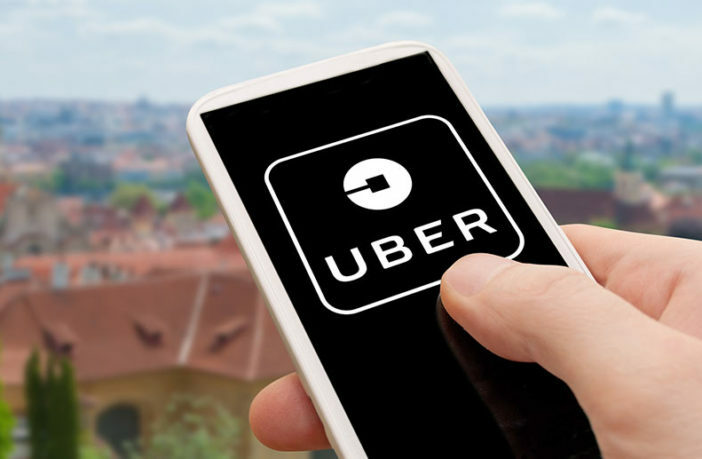 Therefore, Uber is able to meet the above requirement, because when the contract is concluded by electronic means, the written form is preserved if the contract is captured in a data format allowing its repeated display and retention as if signed by an electronic signature, “said Rezková for iDNES.cz. Uber will still use so-called dynamic pricing after Tuesday’s change. As a result, when the demand is significantly higher, the resulting price also increases by a certain amount. “Pre-determined prices include this multiple. If the customer looks at the price when the dynamic prices are active, they will see the fare warning at the top, “adds Jozová. There are more than two thousand Uber drivers in the Czech Republic. Some are just making money, for others it’s a full-time job, but it all attracts a flexible source of money. However, the government-given analysis argues that it’s not as good as it seems with its earnings. And that a number of drivers can not find it out in advance. But Uber does not agree. Let’s take a moment to the side of the legislative problems that have recently resonated around some “digital platforms”, as well as the protests of taxi drivers who complain about them. Let us instead focus on the drivers who drive for them. While customers are attracted to platforms at often much lower prices than classical taxi drivers offer, drivers try to take the vision of a simple and flexible source of revenue without unnecessary bureaucracy. The results, according to the authors of the study for potential Uber drivers, are not good. Especially for those who want to ride only occasionally. Even though they do not have to pay for a license, a taximeter or its calibration, a road tax or more expensive insurance than taxi drivers. At least so, the results of their work were evaluated by academics from the University of Law and Business.